Caption: The panel at the Abraham Conference 2016. Photo by Samet Erkut. 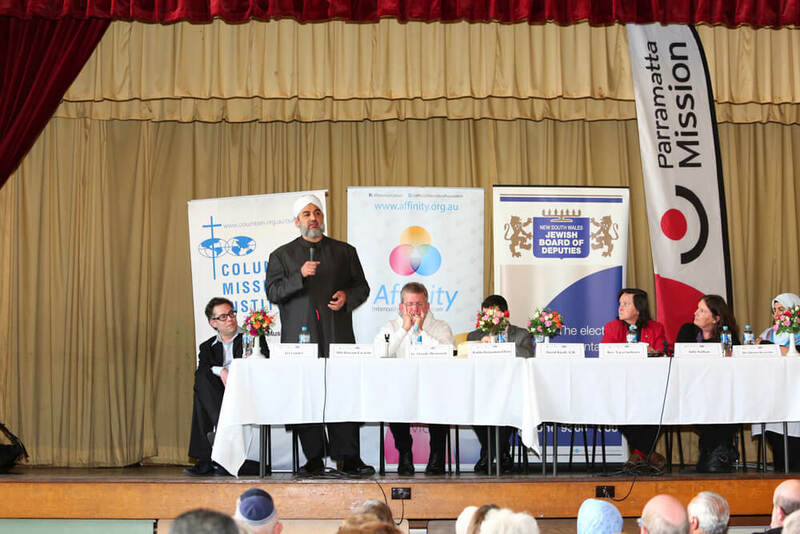 The Abraham Conference 2016 was held on Sunday 21 August at Parramatta Mission Fellowship Hall organised by the Affinity Intercultural Foundation in partnership with the Jewish Board of Deputies, the Uniting Church of Australia and the Columban Mission Institute. 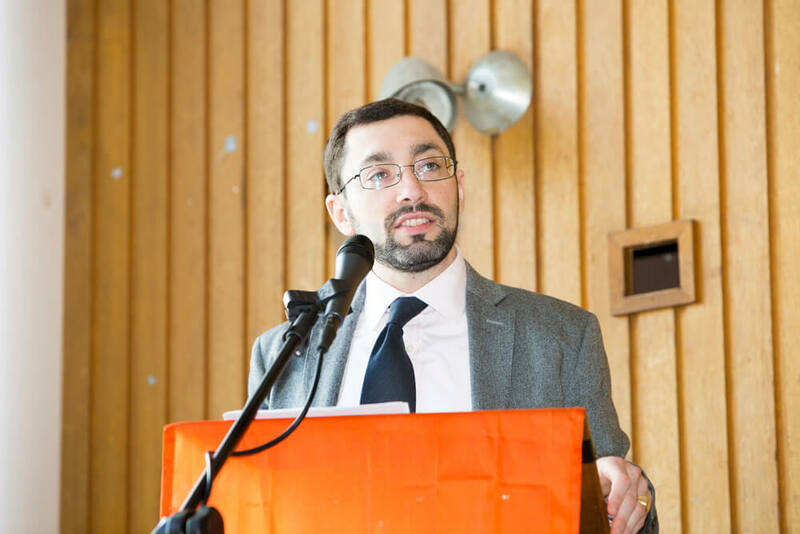 The keynote address at the conference was given by Rabbi Dr Benjamin Elton, Chief Minister of The Great Synagogue of Sydney. Dr Elton elaborated on how hate speech was intricately linked to violence with the potential to greatly damage harmonious living in a diverse society. 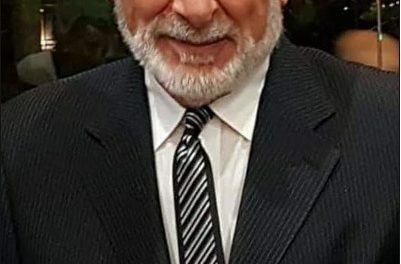 Rabbi Dr Benjamin Elton. Photo by Samet Erkut. 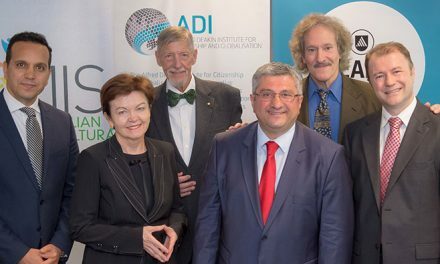 This was followed by the Abraham Panel comprised of two representatives from each of the three Abrahamic faiths, Judaism, Christianity and Islam moderated by Mr David Knoll AM. The panellists included Mr Ari Lander, Dr Ghena Krayem, Fr Claude Mostowik, Ms Julie Nathan, Rev Tara Curlewis and Sheikh Haisam Farache as well as Dr Elton. 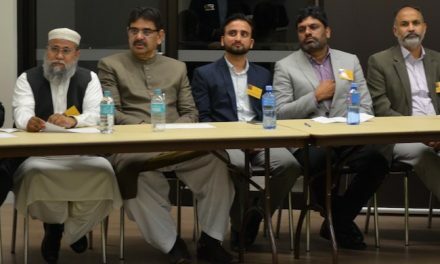 The panellists tackled a wide range of topics including the effect of hate speech on representative communities as well addressed ways and means to curb hate speech and its harmful effects on harmonious living in Australia. 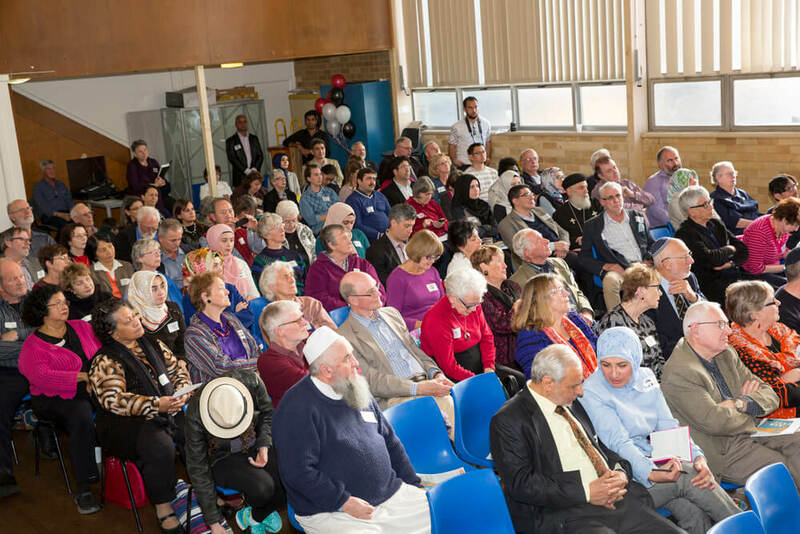 The audience included Mr Jihad Dib MP, Ms Julie Owen MP and the Grand Mufti of Australia Dr Ibrahim Abu Mohammed amongst others. Rabia Ceylan is a Project Officer at the Affinity Office in Sydney.